L. and Rabbi Robinson affix a mezuzah to the door of his new home. L. was born and raised in an Arab village in the Galilee to a Jewish mother who immigrated from the CIS and an Arab father. His mother was run over by a car when he was 16 in mysterious circumstances. Till this day, it isn't clear whether it was truly an accident or a killing arranged by her husband. The tragic death of his mother led L. to explore the Jewish background his mother had told him of. He didn't know a word of Hebrew or even the most basic Jewish concepts, but his desire to regain the heritage of the mother who was snatched from him so cruelly pushed him to embark on a journey of self-discovery. He slipped out of the village under cover of darkness and turned to a social welfare agency in a nearby Jewish city that provides refuge for homeless youths and high-school dropouts. The organization helped him learn to write and read in Hebrew and gave him a warm place to sleep. When L. told one of the volunteers about his background and his desire to learn more about the Jewish people, the two searched the internet for an organization that could meet his needs. That's how he got to Yad L'Achim. At this point, tragedy struck again. L's brother, who took their mother's death particularly hard, became seriously ill and passed away. L. resolved not to let this loss deter him from the goal he'd set for himself. Meanwhile, Yad L'Achim arrived at the shelter and, at L's request, began teaching him about Judaism. Recently, he opened a new chapter in his life when he entered a Torani educational framework that Yad L'Achim helped him find. Yad L'Achim also found him suitable work and an apartment near his school, in addition to providing him with food coupons, clothing and all of his household needs. 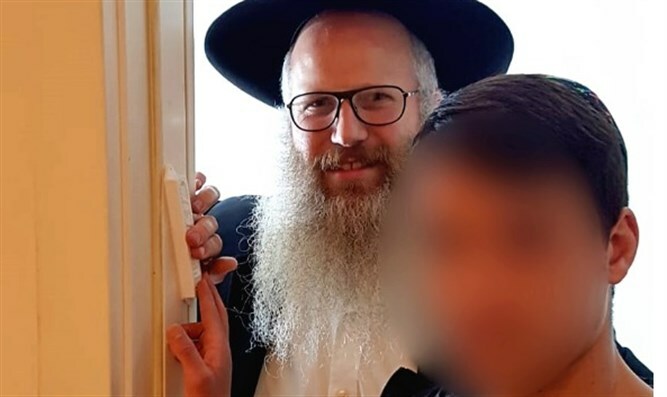 Rabbi Yoav-Zeev Robinson, of Yad L'Achim, who has been at L's side throughout his spiritual odyssey, was recently honored to affix the mezuzah of the young man's new apartment. "This precious soul has recently taken another important step forward and we at Yad L'Achim will continue to provide him with the sense of family he so desperately needs," Rabbi Robinson said. "We feel privileged to be able to help L. regain the Judaism that was stolen from him."